CommonsFest: Tell us a few things about what you do in Ecuador. What is the goal of the project and the benefits that you see for society in Ecuador as well as for the rest of the world? 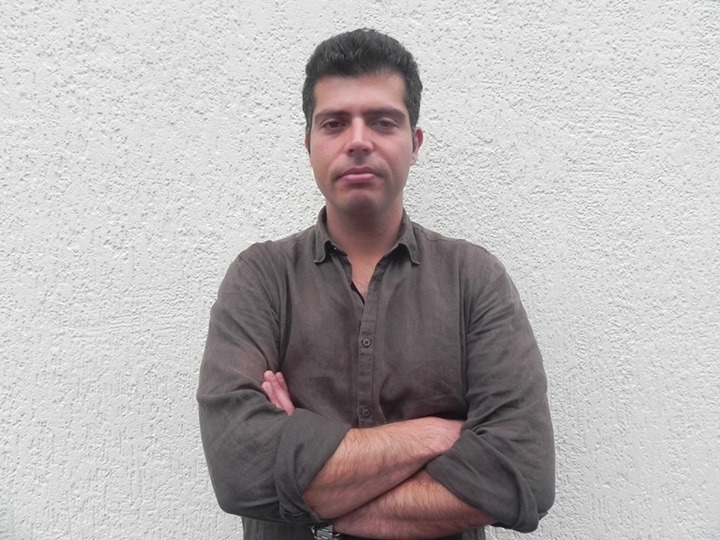 George Dafermos: The goal of the FLOK Society Project is to develop a set of transition policy proposals for an alternative, post-capitalist model of social and economic organisation based on the principles of open source and free software; a model which provides free access to knowledge, using non-authoritarian organisational structures, with respect for human beings and the environment. That is especially important for Ecuador which has set itself the goal of transforming the country from an economy based on exctractivism to a social knowledge economy, that is, an economy that provides free access to knowledge. As for the global benefits, I believe that if we succeed here, we could change the world! CF: You sound very optimistic and I like it. Speaking of an economic model which is based on free knowledge, can you give us a specific example? GD: I can tell you about a policy change we accomplished two months ago in the educational sector: all books, lecture notes, textbooks, etc. used by the Ecuadorian academic community are now freely available on the Internet (through the universities’ websites) under creative commons licenses. That is an example of how we can ensure free access to academic knowledge and of course there are many such examples, both in Ecuador and abroad. CF: Aside from the social benefit of free access to knowledge achieved through such policy interventions, are there any studies which evaluate the economic benefits as well? GD: We do know of a plethora of cases which, aside from the benefit of free access to knowledge, illustrate tangible economic benefits. The Open Source Ecology network, for example, has managed to reduce the production cost of farm machines to ⅛ of the cost of equivalent proprietary machines. Much the same could be said of Wikispeed, the open source car developed by a global network of volunteer teams which coordinate their work through the Internet, though each team is working in its own garage. This community has succeeded in manufacturing a car that only saves energy in the process of its production but also consumes significantly less fuel in comparison with the models marketed by major car companies. The Wikispeed car is soon going to be available in the market at the price of $17,000, whereas the equivalent proprietary models cost three or four times as much. An example of a much larger scale comes from the region of Andhra Prakes in India. About ten years ago, this region, where 70% of the population is employed in agricultural production, was struck by a great tragedy: more and more small farmers were committing suicide because they were unable to repay their debts, which were largely attributable to the purchase of industrial pesticides, fertilisers and genetically modified (GM) seeds. The crisis, which took on epidemic proportions in 2004-2005, rendered imperative the trying out of alternatives. In this climate, some farmers, in collaboration with activist organisations, started to experiment with forms of sustainable agriculture which do not make use of GM seeds, chemical pesticides and fertilisers. Initially the farmers were very sceptical, fearing that the adoption of organic farming methods would reduce their yield and, by extension, their revenues. However, as they soon found out, their yield remained in the same levels, but the quality of the crop was higher now and so could be sold at a higher price in the market. At the same time, they saved money that they would have spent on procuring industrial pesticides, fertilizers and seeds. Seeing these economic benefits, increasingly more farmers were convinced to try the new methods and so in about five years the model of organic agriculture spread through the entire region. We observe therefore that, in addition to the undisputable environmental benefits, the transition to a model of sustainable agriculture brought about significant economic benefits for the Indian farmers, as they were no longer dependent on agri-food companies to supply them with seeds, fertilisers and pesticides. But to return to your question, there is indeed a growing interest in evaluating and documenting the economic outcomes generated by these models. Just the other day, for example, I was reading a study by Shareable about the sharing economy, which is growing fast, based on ideas that hardly existed ten years ago, like car-sharing. CF: In you view, how can the conclusions of your research benefit small communities, organizations, companies and ministries in Greece? GD: If we look at the example of India and of the transition of the agricultural population of a region to a new model, which is radically different from the one that preceded it, we see that the driving force was the tragedy of those thousands of farmers who killed themselves under the weight of the debt they had accumulated through their dependence on GM seeds, chemical pesticides and fertilisers. I hope in Greece we won’t have to experience similar tragedies before we set about to adopt more humane, open and collaborative models of agricultural production. 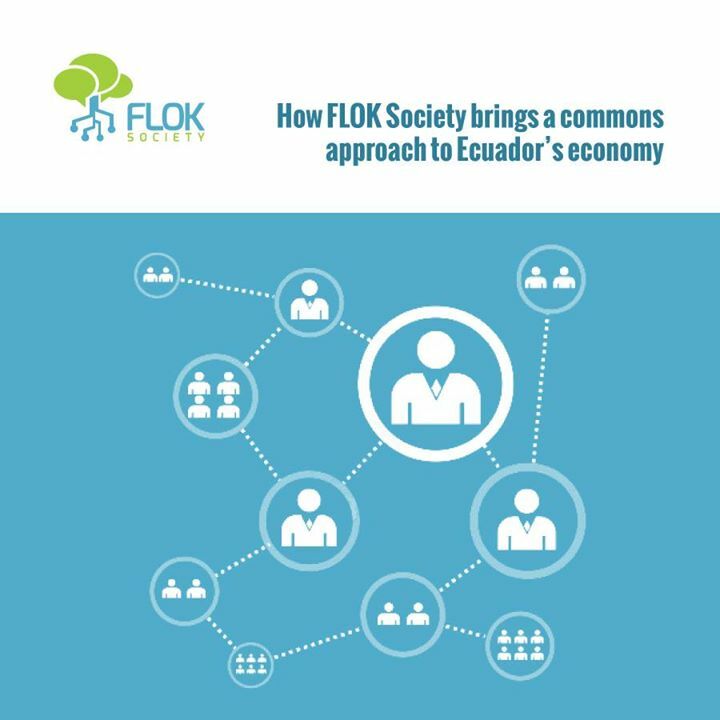 Personally, I’m convinced that the FLOK research findings may well be applied in any country and especially in Greece, which has many characteristics in common with South American countries: like Ecuador, Greece is a country which never had a heavy industry; which is traditionally based on agriculture; and which would benefit from biotechnology on account of its rich biodiversity. Also, it’s a country well placed to take advantage of distributed energy models, which not only do not destroy the environment, but also are more economical than the centralised model that dominates the energy sector in Greece. CF: We will be glad to start new projects when you come. GD: Let me give you an example. A group of scientists at the National Institute of Renewable Energy (INER) is currently developing a 100% renewable energy (solar-powered), open source passenger boat for the islands of Galapagos. Imagine if all Greek islands had a network of boats fueled by the sun and the wind, rather than oil, and that technology was released under open source licenses, thereby allowing the global community to participate in its development and modification. It’s a truly revolutionary model. CF: It sounds very interesting. So, this technology will be made available under an open license? GD: Of course! As far as I know, the license they intend to use is the CERN Open Hardware License. CF: Do you know of any projects in Europe and Greece that are similar to FLOK? GD: Projects like CommonsFest and ELLAK in Greece, to mention but two, have many characteristics in common with FLOK: in the final analysis, they are all trying to understand the principles of open source and its development model with a view to bringing about positive social change. CF: are you aware of existing structures of open, peer management in Ecuador and are they growing? GD: The fact that in the last ten years there was an explosive growth of social movements suggests, of course, that there was a historically concurrent development of open, peer management structures. But even beyond the space of social movements, there are lots of groups that use peer structures to organise their activities. For example, Red de Guardianes de Semillas is a network of small producers involved in open-sustainable agriculture, freely shared seeds and collective forms for the organisation of production and distribution of agricultural products (the so-called model of community-supported agriculture), who have set up consumer-producer co-ops with their own meeting grounds. Another example that springs to mind is the village of Vilcapamba, where the local community, which manages the land collectively, aims to build a lab for open technologies and arts, while cultivating the land with the method of permaculture for the needs of the community. CF: What is the response to your effort from people, groups and communities in Ecuador? Are they interested in adopting the philosophy of the Commons? GD: The feedback we’ve so far received from groups and communities in Ecuador has been very positive. What I have gathered is that they have no problem whatsoever understanding the concept of the Commons or the social benefits that emanate from the free sharing of knowledge. Their problem is they have been repeatedly ripped off by capitalist firms that appropriate knowledges produced within the bosom of those communities which are freely available as common goods, and then develop proprietary products which only the firms profit from, without providing any sort of compensation to the communities which produced those knowledges. Actually, what such groups need is an institutional framework that will protect them against the danger of private expropriation and commercial co-optation of the common goods they produce. We believe that open source licenses provide such a framework and we are optimistic that with our help and through their collaboration with the global commons movement, the indigenous communities of Ecuador will find the tools they need to reinforce and protect their productive activities. CF: You are giving me the opportunity to ask you about something which we are here very much concerned with. The licenses, which you just referred to (open source and creative commons), cover mostly immaterial Commons. Do you know of any licenses or ways to create and manage material Commons? For example, we begun in Heraklion an effort to create a common pool of equipment and hardware for conferences and events. Are there any examples or experiences with the management of such enterprises? GD: I don’t think there is a problem applying open source licenses to hardware. 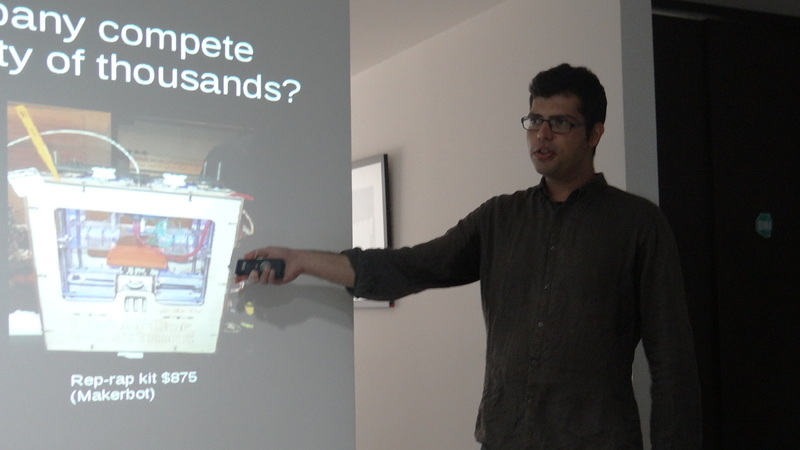 As you know, the RepRap 3D printer is distributed under the GNU GPL, as well as many other technologies. CF: Sorry to interrupt you. I’m not referring to the availability of the knowledge to produce hardware. I referred to the management of that hardware: we have, for example, a 3D printer or some tables and we say they are Commons, but we will have to ensure that they cannot be exploited by some ones and we end up in the tragedy of the Commons. GD: Open source licenses constitute such a governance framework, as well as a legal framework that allows these groups to share the knowledge they produce as a common good, while at the same time protecting it against the danger of private expropriation and commercial co-optation. As far as models for the management of common goods are concerned, the proposal of FLOK consists in the adoption of collectivist-cooperative structures. That is particularly important for Ecuador because the existing regulatory framework is a barrier to the operation of such organisations. It is simply irrational. For example, it classifies organisations into the social and solidarity economy based on their size, rather than the purpose of their operation, as it would make sense. For that reason, at FLOK we are trying to develop an institutional framework that will provide those organisations with the autonomy and resources they need to grow and flourish…I don’t know if I’ve sufficiently answered your question. CF: Partly…but let’s go on. What are the positive and the negative elements that spring from the fact that your research is a government initiative? GD: First of all, FLOK is not a government initiative. It was launched by an open group of academics (mostly from Ecuador) and people from social movements. This group submitted a proposal to two ministries, asking them to fund the project, which is now hosted at the Instituto de Altos Estudios Nacionales (IAEN). So, we could say that FLOK is an initiative of an open academic-activist group. The financial resources, of course, for the project come from the above ministries and therefore by the government, and you’re asking me how can we ensure there will be a continuity over time. That is very difficult. We strongly believe that the active involvement and support of the local social movements alone can guarantee the implementation of whatever policy proposals we finally submit to the government. Thus, from the very beginning, we’re trying to involve not only public policy actors but also social movements and activist organisations in the project and in the policy proposals we’re developing so as to create a strong base that no government shall want or be able to destroy, thus ensuring that these policies will not be terminated if or when there is a change of government. CF: A few months ago you made an open, global call for proposals and examples related to the topic of your research. What was the response? GD: Extremely positive. We are receiving proposals almost every day. We translate some of the best (from the standpoint of completeness) in spanish and publish them on our website/wiki, and we’ve also received proposals with such a great potential and relevance for Ecuador that we have asked their authors to collaborate with us in order to turn their proposal into one of the policy papers that will be discussed at the summit we’re organising in Quito at the end of May. CF: Do you have a first impression about how difficult it will be to pass from the regime of private and state management into one based on the concept of the Commons? Have you looked at that? GD: With respect to how a state structure can be transformed into an open and collaborative one, FLOK is using the concept of the ‘Partner State’, which is a model of cooperation between public organisations and collectivist-cooperative organisations for the management of goods and services of public interest. There are cities in Italy, like Bologna, which use that kind of collaborations almost exclusively for the provision of plenty of services and this model is very successful. It is not something utopian. It is a model based on the active participation of the local community. Of course, the passage from the regime of private and state management towards a collaborative and open situation will not be easy. Projects moving in this direction are bound to face strong political pressures, as shown by the example of the occupied ERT in Greece. CF: Would you like to add anything else? GD: We are still at the early stages of the project but in 2-3 months – when you’ll be doing CommonsFest in Heraklion – I’m sure I’ll have more news to share. I hope I will be there too! CF: Your work is filling us with hope! Thank you very much and good luck!